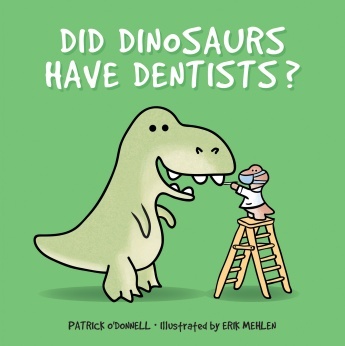 Patrick O'Donnell is the author and Erik Mehlen is the illustrator of the new kids' picture book Did Dinosaurs Have Dentists?. Patrick O'Donnell has worked as a copy editor, cook, and landscaper, among other jobs. He lives in Boyertown, Pennsylvania. 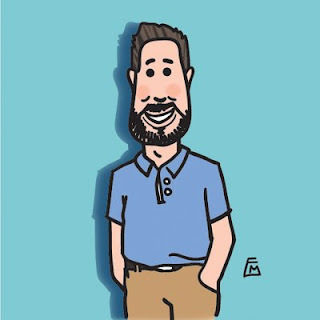 Erik Mehlen is a freelance designer and illustrator. He lives in San Antonio, Texas. 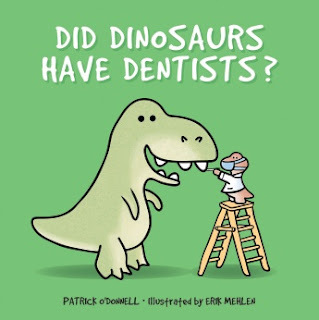 Q: How did you come up with the idea for Did Dinosaurs Have Dentists? Patrick: Both of my boys were afraid of going to the dentist, but especially my youngest. One day, when he was about 6, I was driving him in to get a cavity filled, and he was really scared. So I started coming up with silly, alliterative phrases to make him laugh a bit. By the time we got to the dentist’s office I’d come up with quite a few, so while I was in the waiting room, I took out my phone and started making notes so I’d remember them. I thought it might be a fun book — even if I only printed it out and read it to my kids. But over the next few days, I added to my ideas, and the more I thought about it, the more I liked the idea of turning it into an actual book. Q: Did you need to do any research to write/illustrate this book? Patrick: Yes — because I wanted it to be more than just a rhyming book. I like the concept of making things fun as a way to help kids learn. So I did a lot of research on the dinosaurs — name pronunciation and meaning, diet, etc. — and also researched the dental terms. I then ran the book past a few of my friends who happen to be dental hygienists to get their take. Erik: Before working on DDHD I was doing mostly editorial illustration with some private commissions here and there, so in the beginning I had to find my style. My girlfriend loved the illustration so much that I started with it and then began looking at the work of those who have always inspired me: cartoonists like Gary Larson, Jim Davis, and Charles Schulz, to name a few. Also, I started looking at a lot of classic children’s books to give me inspiration. When Patrick approached me about the book, he told me what style he had envisioned for it and I kinda took it from there. So, the research part of it was a lot of fun because I got to read a ton of cartoons! Patrick: I think the illustrations absolutely make the book come alive! Erik’s dinosaurs are awesome — they’re colorful, and fun ... and they each seem to have their own personalities. I mean, just look at the face of the tyrannosaurus who’s squishing the toothpaste tube. You can see he’s a mischievous soul! And then Erik took the book to another level by hand-lettering all of the text — he basically created his own font. It’s fantastic! Erik: Hopefully a lot! Yeah, I think a good children’s book should not only have good writing but also strong illustrations that kids can immediately connect with. I wanted it to be funny for both the kids and adults. The characters needed to have personality to give them life and to be relatable to children. I wanted their emotions and reactions to the words to show through so that the reader can empathize with... having a cavity, say, for instance. I did create the lettering myself because I felt it too needed personality so when you read “cavity” you also read that feeling. I’m glad the publisher decided to keep it in there. Q: Did the two of you communicate at all during the creation of the book? Patrick: Yes — I sent Erik the text and my thoughts around what I wanted. I’m a huge fan of Sandra Boynton and Dr. Seuss, and they were definitely inspirations when I was writing/envisioning Did Dinosaurs Have Dentists. I told Erik I wanted to capture a little of that inspiration in the art — the dinosaurs needed to be friendly, non-threatening, and memorable. He sent me some samples and I was blown away. We then stayed in pretty close communication as he worked on the illustrations … and he was very patient when I made changes to the text that necessitated changes on his end! We also collaborated on the proofs and ran ideas past each other — even down to the marketing side of things. Erik: Absolutely! Yeah, we sure did. Patrick was probably ready to change his identity after all the emails and text messages I sent him throughout the process. I’m pretty much someone who enjoys discussing things like “should the dinosaur talk?” I can go on forever over small details too, perhaps because I’m a bit of a perfectionist. I mean, I was sending Patrick clips from Looney Toons and asking for his thoughts on ideas! Haha! So, there was a lot of back and forth collaboration between us, and I actually wouldn’t want it any other way! Patrick: I hope, first of all, that it eases their fears about going to the dentist, since that was my original intent. And I hope it drives home the importance of dental health, too, and inspires them to brush, floss and get checkups. At signings, I always get asked if I’m a dentist (no one asks if I’m a paleontologist!) … it’s funny; I just always liked going to the dentist, and have always been big on taking care of my teeth. And a few years ago, while I was doing research for a magazine article, I learned that doctors have connected oral health to our overall health — which means it’s even more important to take care of your teeth. So I want kids to take that to heart. I also hope they learn about dinosaurs. Like many kids, I was (and still am!) fascinated by them. And, of course, I really hope it makes kids smile! I love it when people email me to say it’s a family favorite, or when they send me pics of them reading it to their kids. Patrick: Our second collaboration, Do Penguins Have Pediatricians? is at the publisher and should be out in fall 2019. We’re thinking of doing a third to round out the series. I’m also working on a chapter book series aimed at kids ages 6-10. It’s inspired by time I spent volunteering at a wildlife rescue/rehabilitation center, and the amazing woman who founded the center. The main character is a young girl who helps rescue animals that have a bad reputation. The first book revolves around bats; the second centers on snakes … and I want to build it out from there. Erik: Yep, working with the publisher on Do Penguins Have Pediatricians? and I’m really excited about that one. I can’t wait for the readers to have it and I really think that it is a worthy sequel of sorts.... if you want to call it that. The animals are super cute and I had a ton of fun working on it. Also, working on webcomics to star some of the dinosaurs from the book, and some new ones we haven’t seen yet. They will be up on my Instagram account once I get a few more of them finished. Then it’s on to more marketing for the books. I’m still working on creating all of the art to be used in our efforts to promote the books and once I’m done, I plan on doing a small book tour run here in San Antonio. 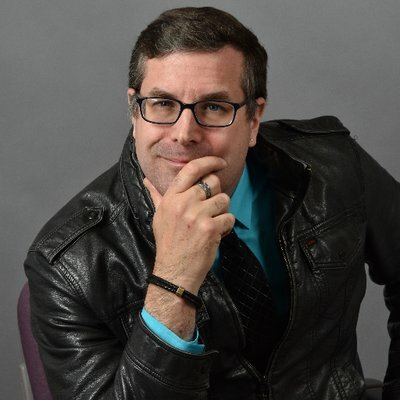 Patrick: There’s a really neat back story about how I connected with Erik. He’s actually my nephew — but I only recently discovered him and his mom. I’m adopted, and grew up on a farm as an only child with amazing parents. My mom saw that I loved to read and tell stories, and she tirelessly encouraged me to become a writer. I’m so thankful for that, and for all they’ve done for me. I couldn’t have become an author, or be where I am today, without them. I’d always wondered about my roots, though — I think all adopted kids do. But at this stage in my life, I figured it would remain a mystery. Then I received a surprise gift of an Ancestry.com DNA test. The idea, quite literally, was just to discover my ancestry: was I Irish, English, Norwegian, etc. But there was an unexpected side benefit: I also discovered my birth family — and they are all really wonderful people! I just want to thank everyone, Schiffer Publishing, and especially Patrick for the opportunity to work on this book. I had such a blast! Thanks to all the readers! Please support us if you like the book by leaving us reviews and don’t forget to follow us on social media to get more updates on what’s next! Happy reading!